Successfully Added Alexa 300ml Essential Oil Aroma Diffuser-UK Plug to your Shopping Cart. LATEST GENERATION 2 AROMA DIFFUSER: Works with Amazon Echo/Echo/Tap can not only powering on/off but also changing the light colors conveniently by sound. 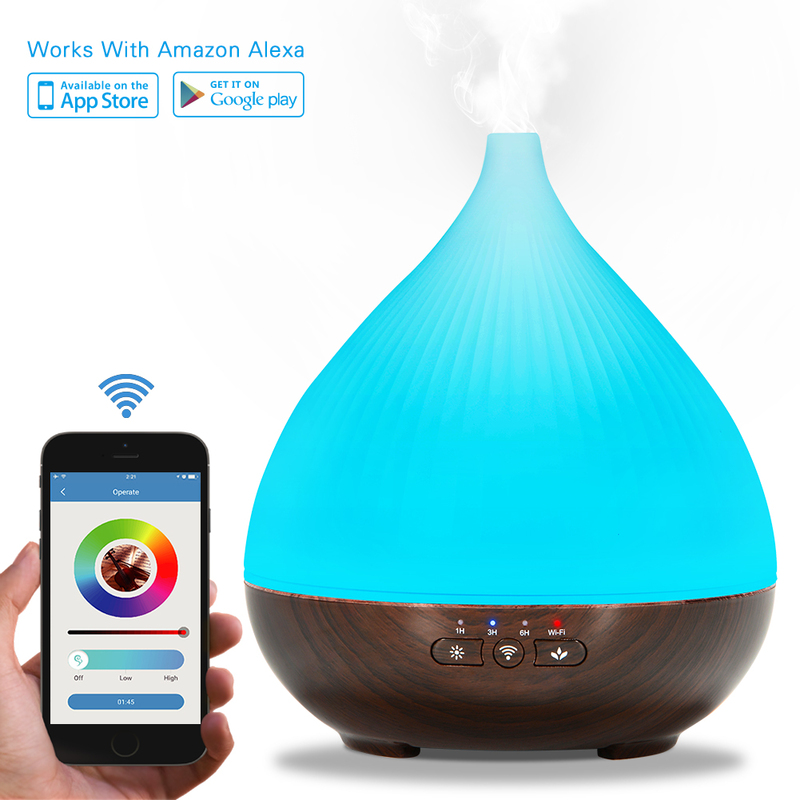 While most generation 1 can only use voice to turn on / off the aroma diffusers. APP CONTROL: Download our specially developed and upgraded App named "Umist plus" which is compatible with Android system and IOS on your smart-phone to control the aroma diffuser remotely such as powering on / off, changing the light colors, adjusting the mist quantity, setting timer working hours. AMBIENT NIGHT LIGHT: LED ambient light creates a wonderful ambiance with 7 alternative colors for relaxation by fixing one color or making 7 colors constantly cycle through. More, each color can choose from dim and bright. More our generation 2 can also change the light color among millions of color through our App. SILENT OPERATION: Latest ultrasonic technology makes this humidifier works quietly. With drops of essential oil it can infuses a lovely fragrance in the room. Perfectly use it in the nursery, office, yoga studio or in any room about . 100% SAFE INSURANCE: This aroma diffuser can continuously work about 6-9 hours with 300ml water in. For safety, it will auto shut off before the water running out.Setting the timer on App or on the button. Working time: from 6-9 hours (depend on the mist quantity you choose).